Human Skull Display Stand - This human skull stand is custom... – Skulls Unlimited International, Inc. 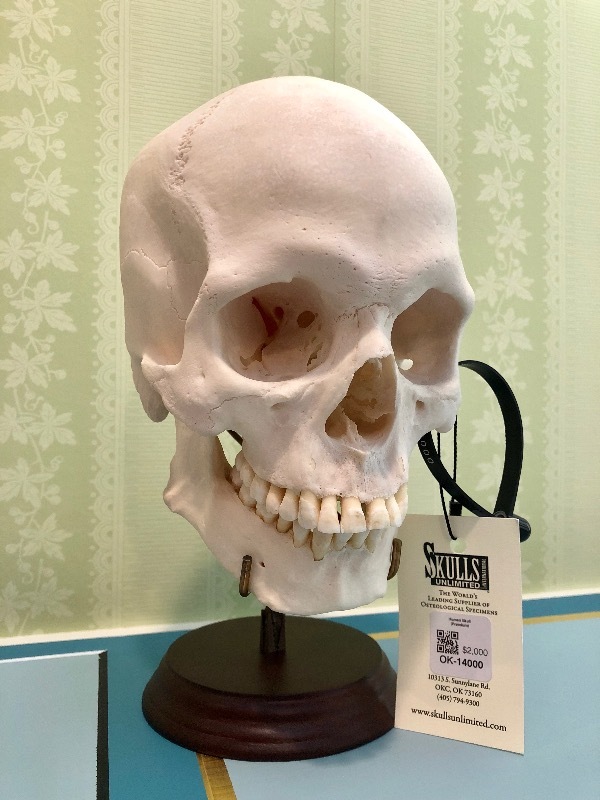 This human skull stand is custom designed and hand made in the classical tradition to provide an elegant and secure display system for any real bone or reproduction human skull. It is cast in bronze, fit to a hardwood base, oxidized to an antique finish and is fully adjustable to properly fit any adolescent or adult human skull and lower jaw. You can only add 2 Human Skull Display Stand. The stand is beautiful, however, the prongs are crooked. I will need to ask a friend to assist me in bending them into position a millimeter at a time to ensure the skull fits properly and upright. I do not anticipate difficulty. Very nicely made. It could be a little taller but, well worth the price. The stand fits my human skull nicely.